“Montana, we won this doggone thing. And we won because of you,” Sen. Jon Tester wrote in posting this photo of his victory speech on Facebook. Seventeen percent of the voters in Montana’s tightly contested U.S. Senate race made their decision in the week before the Nov. 6 election, a statewide poll showed. 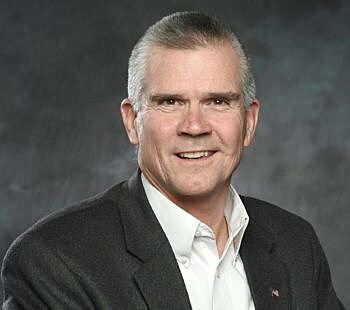 They were mostly Republicans, unsure of whether to side with their party’s standard bearer, State Auditor Matt Rosendale, or to give Democratic incumbent Sen. Jon Tester a third term in office, said Andrew Baumann, a pollster for Global Strategy Group. Their decision? “Tester hugely over-performed among these late deciders, these center-right voters,” Baumann said during a media call Tuesday. Even then, the race was so close that it wasn’t called in the incumbent’s favor until 11 a.m. on Wednesday, Nov. 7. The final certified results showed Tester with 253,876 votes to 235,963 for Rosendale. The issue that drove those center-right voters to cast their lot with a Democrat? Public lands, said Baumann. In his post-election poll of 800 Montana voters, Baumann specifically asked the last-minute deciders who cast their ballots for Tester what issue or other factor sealed their decision. Public lands came out on top along, he said, with the fact that Rosendale wasn’t from Montana. The Tester campaign heavily emphasized both issues in its television and online advertising. Baumann said an overwhelming 98 percent of swing voters remembered the advertisement showing Rosendale’s support for the sale of public lands. It made a difference in those voters’ decisions. “Montanans really care about protecting public lands, and we’ve seen in previous elections how big a role that this has played. A lot of data here showed this played a large role in positioning Matt Rosendale as unacceptable,” Baumann said. Montana’s Senate race was one of three highlighted during Tuesday’s presentation by representatives of the Environmental Defense Fund, League of Conservation Voters Victory Fund and Global Strategy Group. In all, the groups identified 23 midterm races nationwide where the winning candidate emphasized an environmental issue of local or statewide significance. “These races were competitive, they were regionally diverse, they were issue diverse. But it is the case that environmental issues resonated across the board,” said Pete Maysmith, from the League of Conservation Voters. The other two highlighted campaigns were in California and New Jersey. On the West Coast, the issue was air quality, specifically the smoke and associated ill effects of wildfires fueled, at least in part, by climate change. Democratic challenger Harley Rouda won over swing voters during the last week before the election to defeat 15-term incumbent Rep. Dana Rohrabacher as the Camp Fire raged in northern California. Rohrabacher is a longtime climate change denier. In New Jersey, Democratic challenger Andy Kim defeated Rep. Tom MacArthur with this message: Many citizens of New Jersey are struggling to get health care and the last thing they need is a congressman who votes against environmental protections that help protect citizens’ health. Candidates ignore the environment at their peril, said Joe Bonfiglio of the Environmental Defense Fund. But simply acknowledging the issues isn’t enough, he said. The successful candidates take big-picture issues like climate change and make them local – to reach and sway voters. But if local issues make the difference, what can a presidential candidate do in 2020 when he or she is called on to represent such a diverse nation? Maysmith advised presidential wanna-bes to research local issues as they campaign in each state before the primary elections and show voters how national policies or initiatives could help. Bonfiglio said emphasizing environmental policy could set challengers apart. “What the Trump administration has done is so fundamentally at odds with where voters are that I think you will see candidates talk about the environment,” Bonfiglio said.